While SP Tech Con is rolling along down in Boston, here's what's rolling just a smidge north of there. We just had our August 8th meeting for the Granite State NH SharePoint Users Group at Daniel Webster College in Nashua. Due to a scheduling conflict Rebecca Isserman couldn't make it... thankfully Kris Huggins stepped up and presented on MS Project integration with SharePoint 2013 (as opposed to Project Server itself). 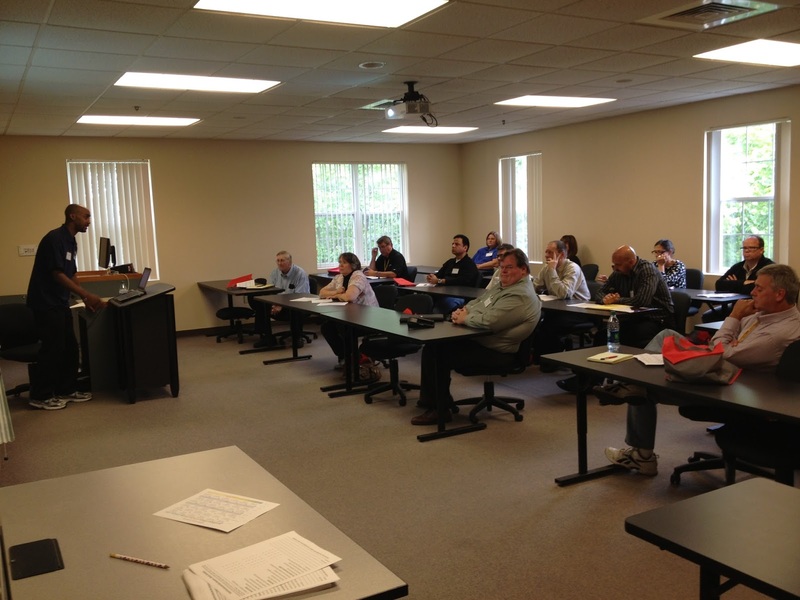 We also organized a bit for volunteers for SharePoint Saturday, New Hampshire, 2013 as well as went over topics for SPSNH speaker selection. All in all, we had a great meeting... those that attended really got to take part in what is becoming a special tradition for the users group and SPSNH. Richard's visit should also be an excellent last call before SharePoint Saturday NH on September 21st. We're really psyched to have a new location for SPSNH: the Radisson Nashua. It has been host to bunches of great events I've personally attended... so I'm really proud that SPSNH has grown to this level! We have a fantastic lineup of speakers and topics and even great vendors with cool stuff to show off there. 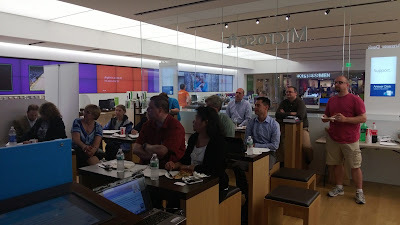 "Creating Multiplayer Turn-Based Games with Windows Phone and Windows 8", again, at the Microsoft Store in Salem. Going out through September, the NHWPUG's meeting will be September 19th (just days in front of SPSNH!) with Gary Ritter, who will be chatting about "Favorite Windows Phone Development Tips ad Shortcuts for Beginners", also at the Microsoft Store. I'll also take this opportunity to thank Daniel Webster College, the Microsoft Store, and Alexander Techology Group for their steadfast support of the users groups, and Edgewater and Atrion for their core-team support of SharePoint Saturday!